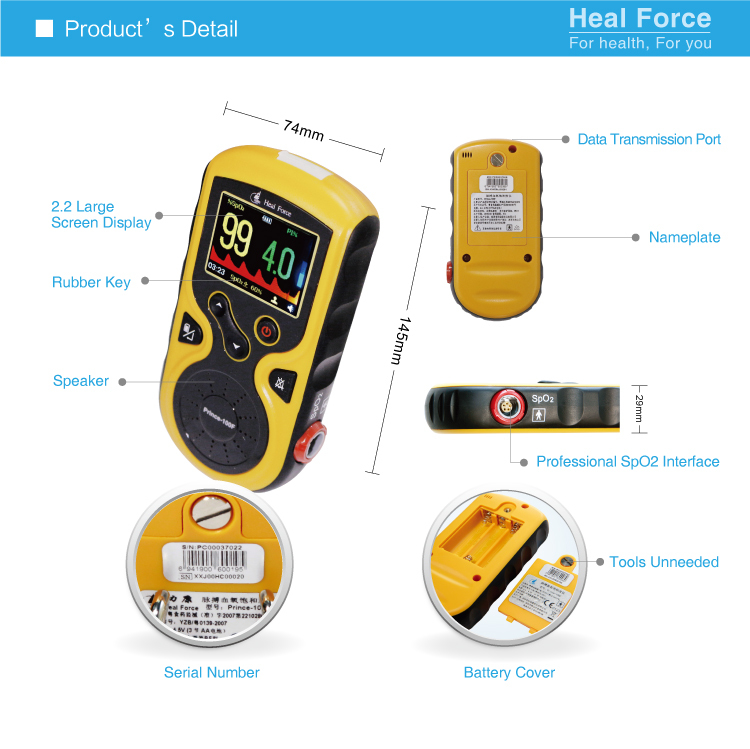 Newly upgraded Handheld Pulse Oximeter. 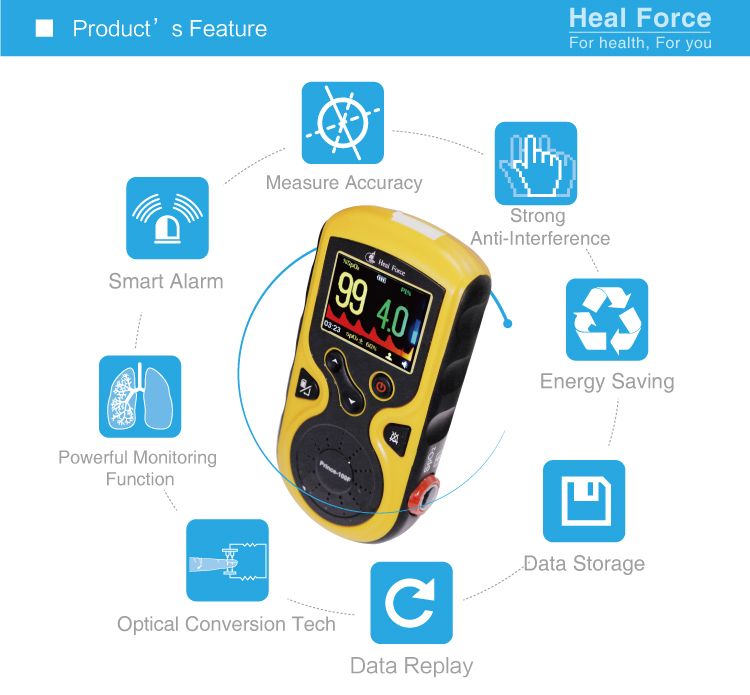 Comes with a dramatically improved SpO2 probe that will greatly enhance your experience with the oximeter, allowing you to record your SpO2 and pulse rate in real time. 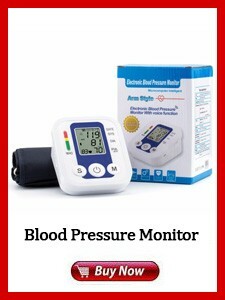 Simultaneously measures PR (pulse rate) and SpO2 (blood oxygen saturation levels) to inform your health condition in 2 seconds, PI (perfusion index) display is also available. 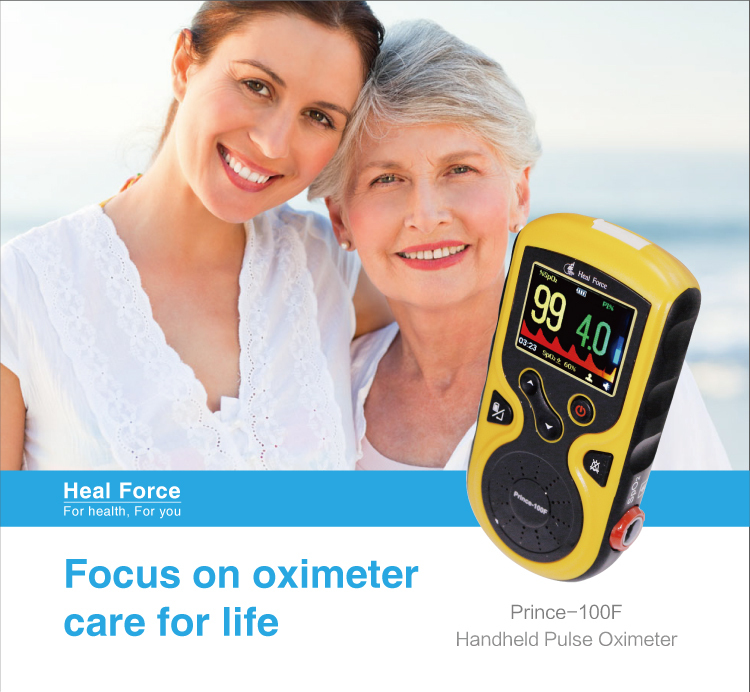 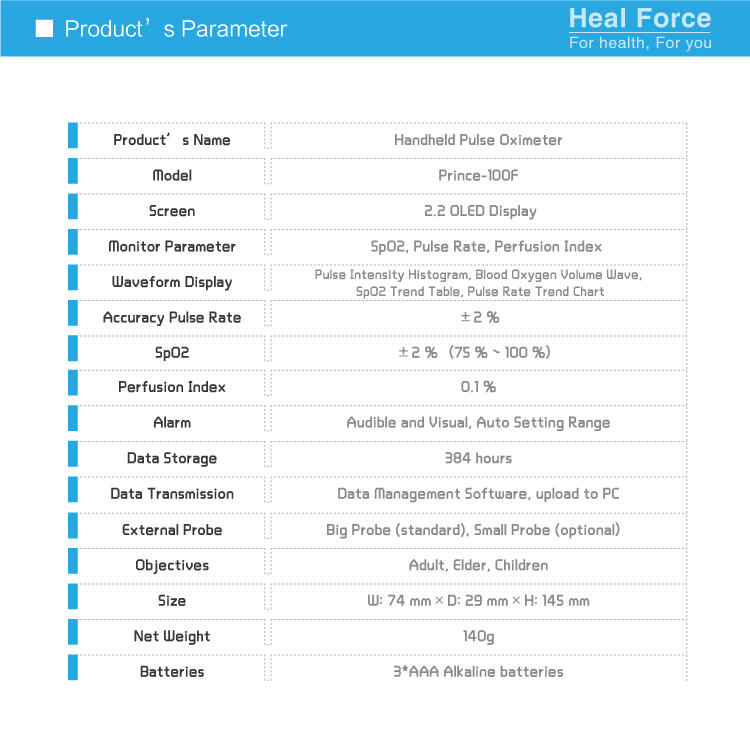 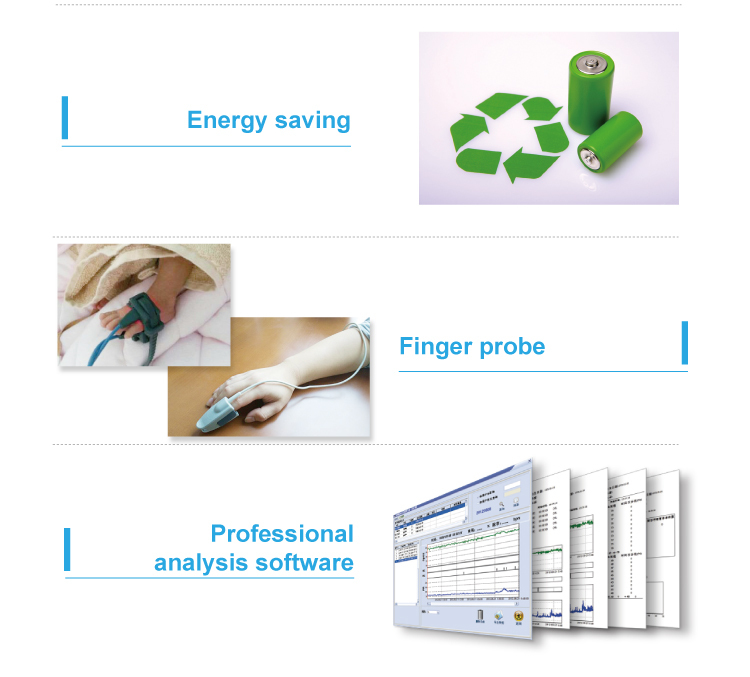 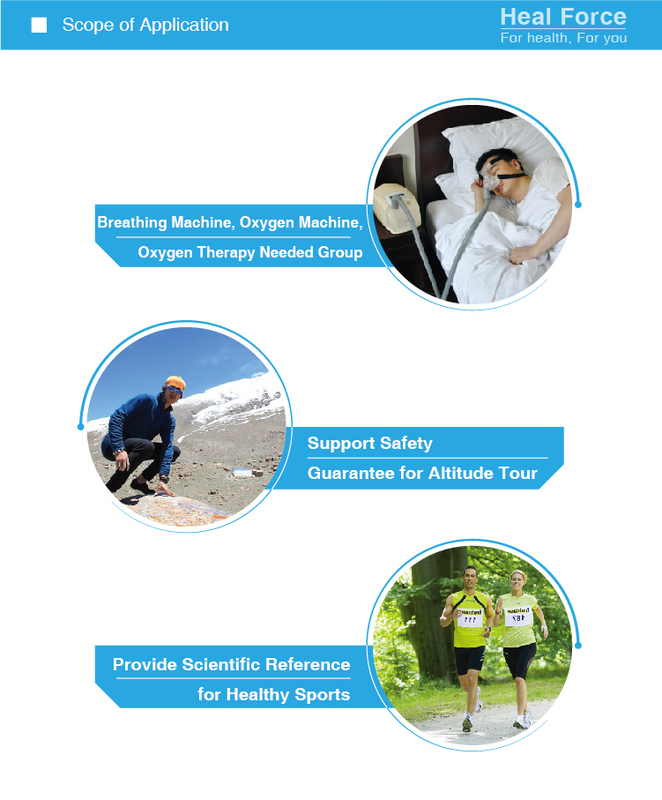 It is available to copy measured data from the oximeter to the PC for view and analysis. 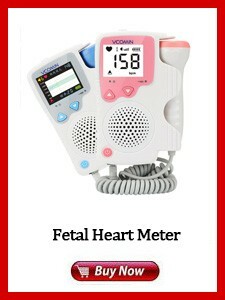 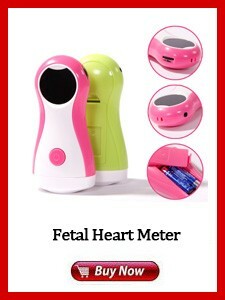 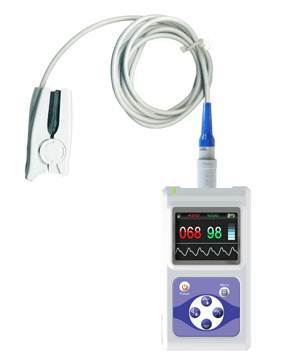 Enable/Disable the function of over-limit indication with audible beep, visible display and vibration of the oximeter. 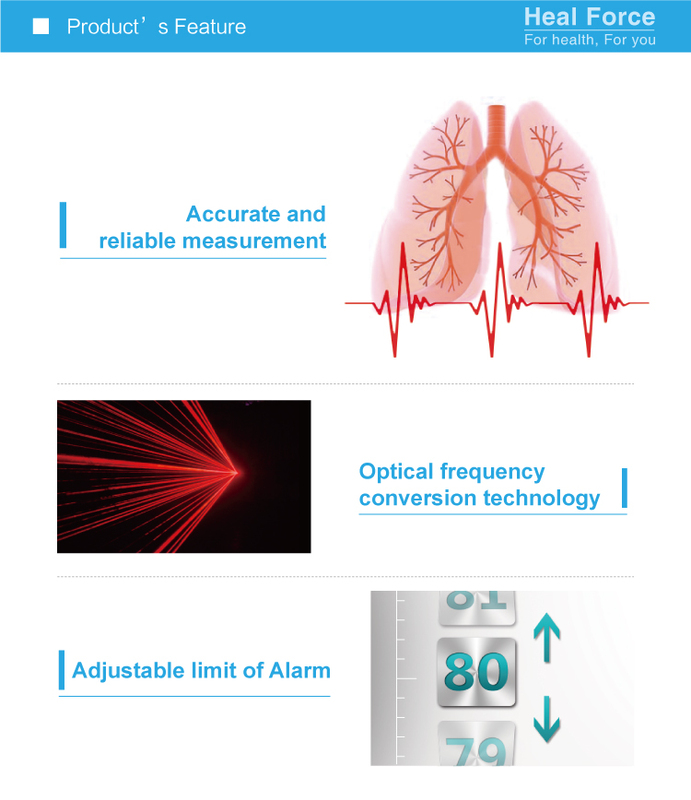 Thanks to its intelligent mechanism, the oximeter will power off automatically after 60 seconds in the absence of signal. 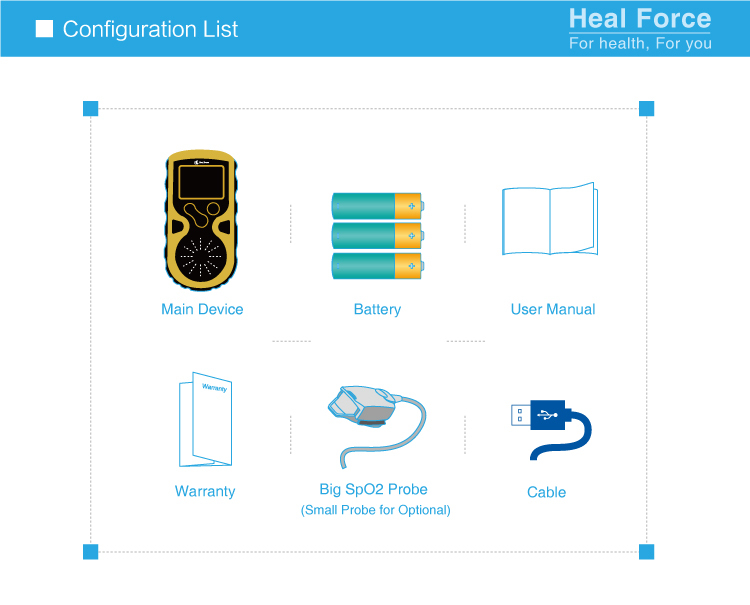 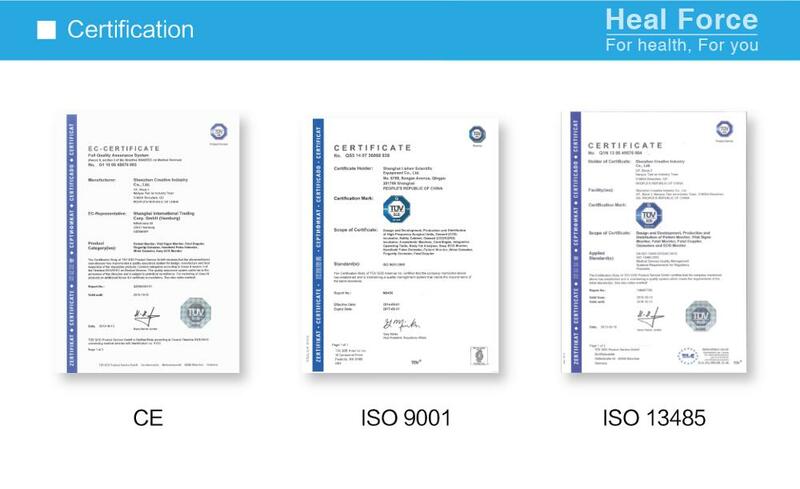 Applicable for family, clinical institution or health-care community. 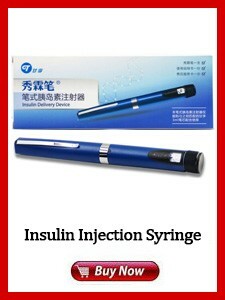 It is lightweight, small in size and easy to carry. 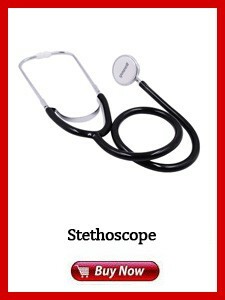 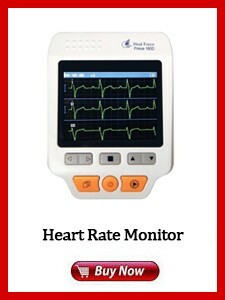 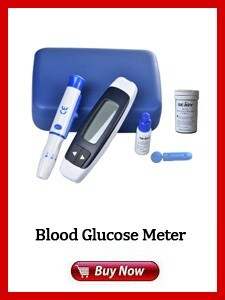 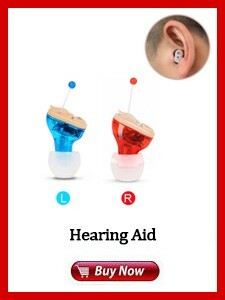 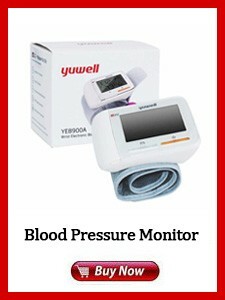 Offers superior ease of reading, you can clearly read the parameter from the screen. 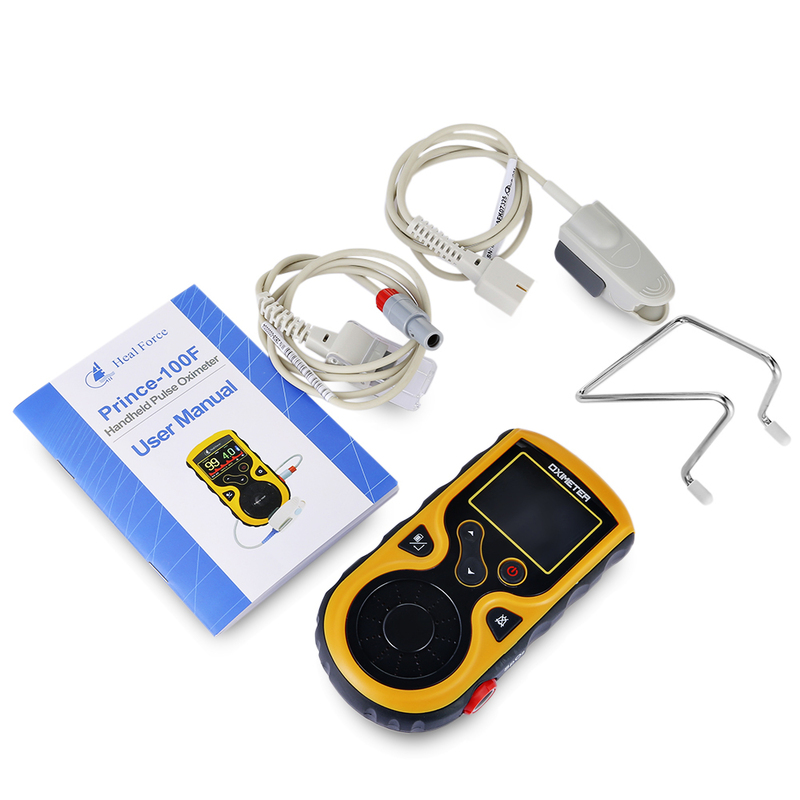 Install 3 AA batteries (not included) into the battery compartment in correct polarities, then fix to the bracket. 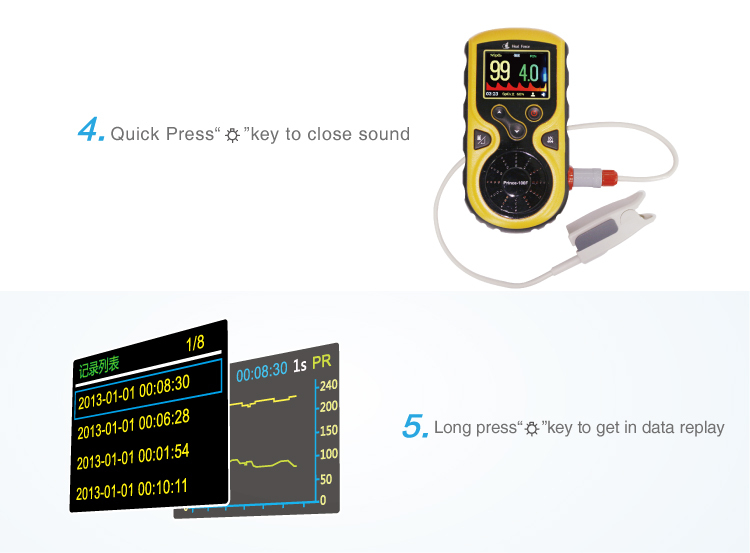 Insert the SpO2 probe connector into the oximeter. 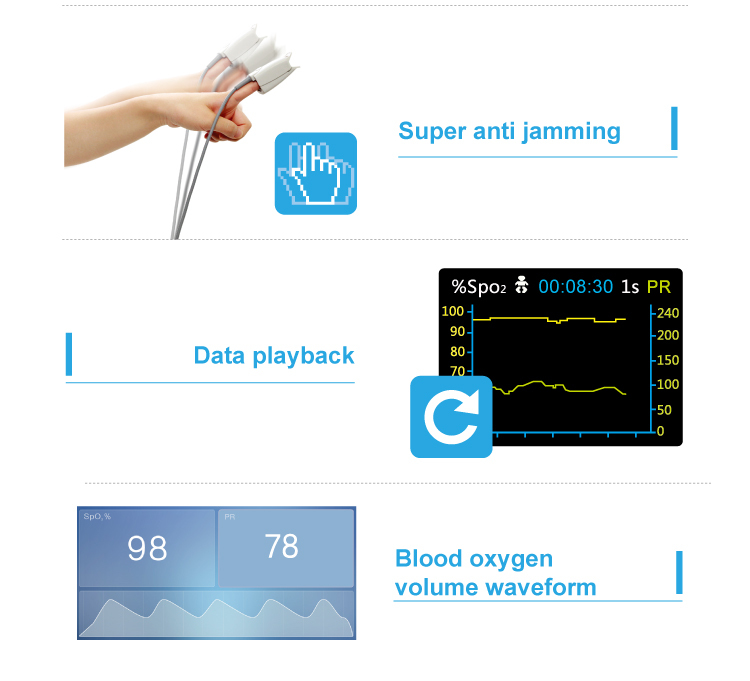 Insert one finger into the probe with the nail upwards, press the button on the oximeter. 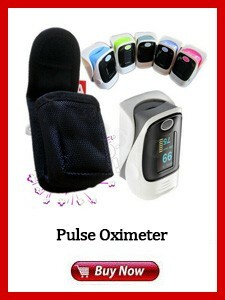 Don\'t tremble your finger when the oximeter is working, and your body is not recommended on moving status. 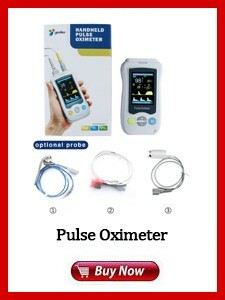 The measurement result will be displayed directly on the screen and stored in the oximeter.